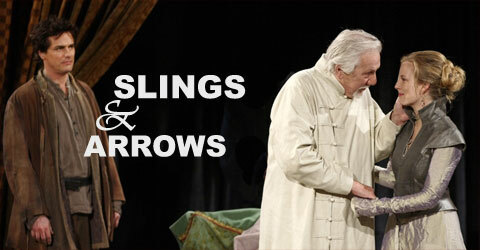 When Slings & Arrows - the behind-the-curtain peep into the private lives of the Shakespearean company at the ersatz New Burbage Theater Festival - debuted on Canadian TV in 2003, I received enthusiastic entreaties to tune in. Alas, my friend lived in Vermont and I lived beyond the reach of airwaves from the Great White North. In 2005, if you could, you saw it on the Sundance Channel. 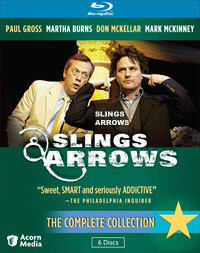 Now in 2010, with this new Blu-ray compilation, you can watch the complete three seasons on your widescreen TV in high definition - even better than Canadians, Vermonters or Sundancers ever did. Meanwhile, the critics lured us with verbal foreplay, words like "addictive," "passionate" and "leaves you begging for more." Already seduced, I was ecstatic about the anticlimactic release of the Blu-ray Slings and Arrows: the Complete Collection, a perfect come hither for lolling in bed glued to the tube. Three years, times six episodes, times three-quarter-hour shows, equals about 810 minutes of totally satisfying TV. Each season features the drama fomented by casting and staging of one bard tragedy per year: Hamlet, Macbeth and King Lear. But plenty of laughter accompanies the tears, tensions, tribulations and triumphs that are the slings and arrows of outrageous fortune brought on by struggles and strife in a theater trying to stay solvent amid divas and divos with libidinous ids. The maxi-mini series launches with the inebriated artistic director Oliver Welles (Stephen Quimette) run over by a delivery truck loaded down with ham (chuckle, chuckle), and his replacement by a sensual semi-sane Geoffrey Tennant (pant, pant). 'Nuf said. Turn it on. While each episode fictionalizes jitters on set, joys on stage, and drama in live theater, some real backstage gossip includes interesting tidbits. 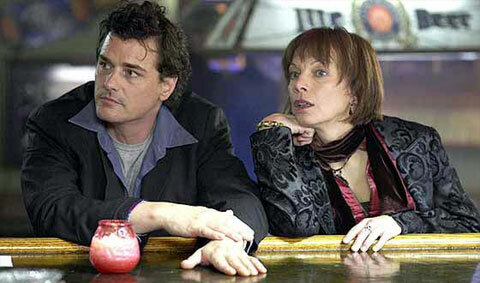 Stars Paul Gross (Geoffrey) and Martha Burns (Ellen Fanshaw) have been married for over twenty years. Director Peter Wellington directed all 18 episodes (a rarity); and the same four writers wrote from start to finish, one being Mark McKinney (a Saturday Night Live alum) who also plays business manager Richard Smith-Jones, and another, Susan Coyne, who plays administrative assistant Anna Conroy. And Rachel McAdams enriched the first season before being spirited away to the big screen for movies like Mean Girls, The Wedding Crasher, Sherlock Holmes and Terrance Malick's latest-in-progress project. The Features' interviews, bloopers and deleted scenes can help wean one off the highs of this truly great show. They might just be the fix to satisfy craving for further intoxicating episodes. 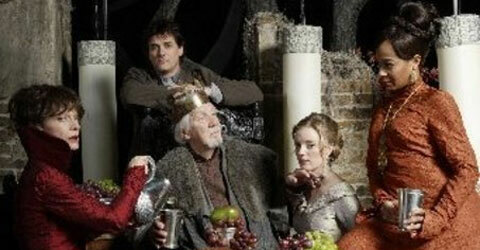 Of special note is "Extended Scenes of King Lear," four segments from the company's production lifted from Season Three and combined in sequence. 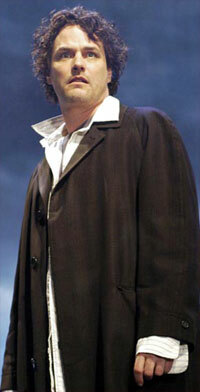 Pure compelling Shakespeare. But for a hopelessly hooked S&A junkie, be forewarned that not all the Extras are consistently shot, recorded or edited. Moreover, the six episodes of Season One were upconverted to 1080p and they are a bit grainy. On the bright side, these shortcomings may be just the cure for quitting cold turkey - or at least a manageable withdrawal. If not, fall off the wagon, click PLAY, and rerun the 810 minutes.